Welcome to the May Pretty Preppy Party. Where all things Pretty and Preppy are celebrated each month. I am always amazed at the inspiration in blogland and love looking through the projects linked up each month. I can’t wait to see what you have been up to! Before we get to the link-up, let’s take a quick look at what each of the hostesses have been up to lately. 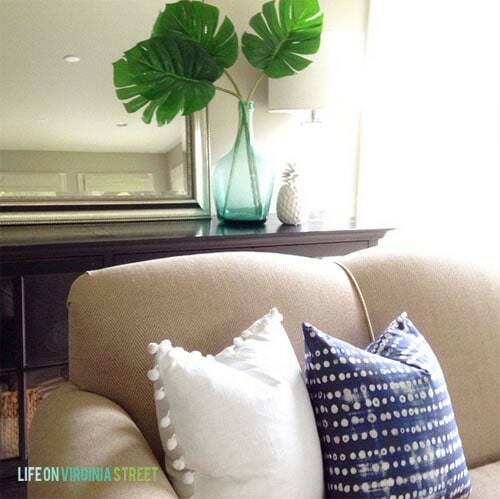 Sarah worked on updating her living room for summer. She revealed a sneak peak of her throw pillows and shared some ideas for the other items she wants to add to the space. 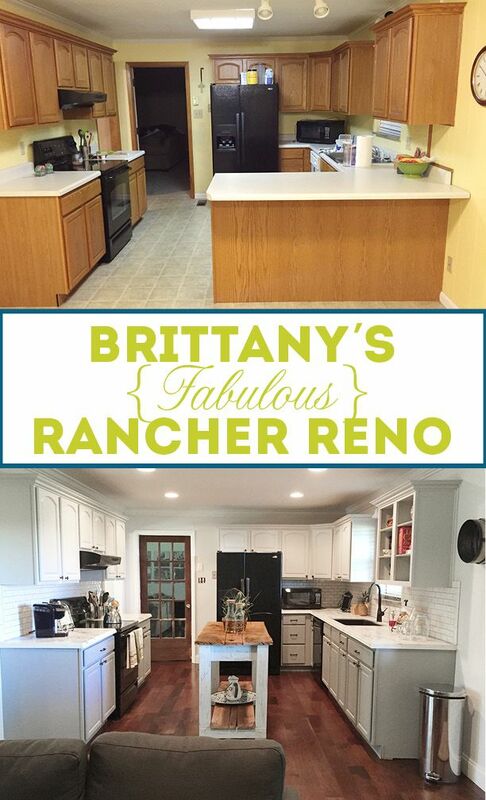 This month, I featured a rancher renovation my brother did that’s nothing short of fabulous! 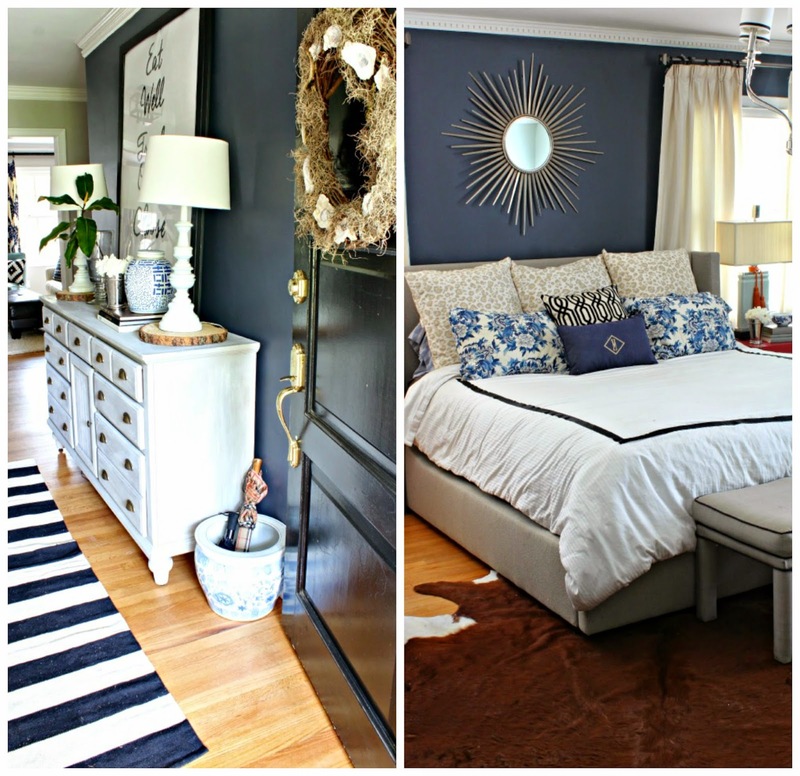 Click here to see all the before and afters and get a dose of inspiration! Heather from Southern State of Mind confirmed that “navy is her love language”. As a One Room Challenge participant, she not only painted her master bedroom, but also her foyer with Benjamin Moore Hale Navy. Come check out the before and after’s of both rooms. Brett over at Being Bianca shared this easy DIY rag quilt that she made from college and sorority t-shirts. She’s been hauling these around with good intention for waaaaaayyyyyyy too long! Check out her reveal and the easy DIY tutorial that made this 15 year in the making project to reality! The best news of all … you don’t have to be a master seamstress or know the first thing about quilting to pull this one off, score! 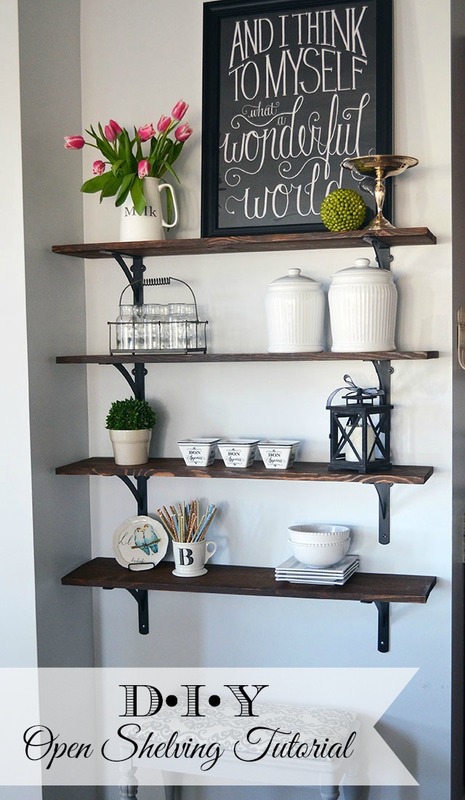 Amy at 11 Magnolia Lane shared how to make this great open shelving. Click here to check it out! Now it’s your turn! Feel free to link up any preppy projects from this month! You only need to link up via one blog and your post will show up on all five blogs. We can’t wait to see what you have been up to. Please be sure to include a backlink to the party in your post somewhere as we can’t feature your project without one.Not a blogger? No problem! 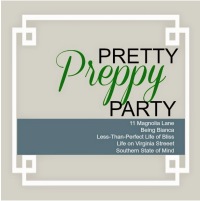 Just post a photo on Instagram, be sure to tag at least one of the hosts and use the hashtag ‪#‎prettypreppyparty‬ so we can see your preppy goodness! – Link to your specific post, not your home page. – Your project must be pretty and preppy. If it doesn’t fit this category, it will be removed. We want this to be a cute and fun prep-destination! – Please link back to one of the hosts in your post. Only those with a link will be considered for a feature! Use the button below, or a text link. – Be inspired! Visit and comment on other links in the party. Each hostess will pin our features to our Pretty Preppy Party Pinterest board each month, so make sure you’re following along to see the best projects and inspiration! This entry was posted in Uncategorized and tagged Link Party, Pretty Preppy Party. Bookmark the permalink. Follow any comments here with the RSS feed for this post. Post a comment or leave a trackback: Trackback URL. « Free 2015 Graduation Party Printables in Preppy Brights!